Do you think KK’s PLEA for forgiveness from MEME is genuine? It is “KK” who is pleading with MEME “MAMELLO” to forgive him for abusing her. At first MEME does not believe it until she is assured that he is not going to do anything to her except that she forgive him for his actions. Do you think that “KK” is genuine when he PLEADS for forgiveness? If you were “KK” were you going to forgive MEME for what she did to you? If you were MEME were you going to believe that “KK”‘s PLEA for forgiveness is genuine or just a way to get her RELAX so that he can finish her off? 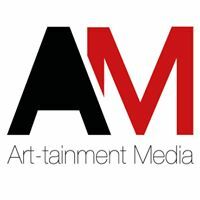 LOG IN TO COMMENT ON THE www.art-tainment.co.za. SISEKO LANGA’s disappearance and the Stranger who is a business associate leaves much to be desired. David Genaro or Suffocate: Who is the most powerful Man?